For the first time in five years fly-tipping has decreased from the previous year but it still has devastating effects on UK businesses, including potential fines, clean-up costs and temporary closures. In some cases, illegal waste operators are profiting from fly-tipping by avoiding mandatory fees like Landfill Tax by disposing of waste on private lands, such as farms and commercial warehouses. The overall number of incidences has decreased by 1%. The number of fixed penalty notices issued has increased by 20%. 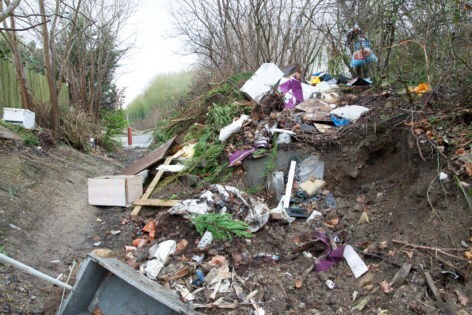 Highways are still the most common place for fly-tipping, accounting for almost half (46%) of reported incidences. 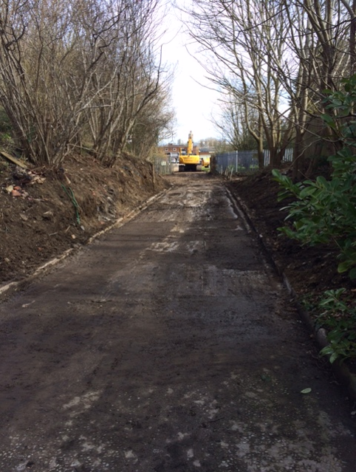 Other public areas, including council land, footpaths and alleyways have remained consistent. Fly-tipping on private and commercial property has seen a slight decrease, compared to 2017, though many incidences frequently go unreported. The National Fly-Tipping Prevention Group advises that the Environment Agency will investigate large, organised or hazardous waste over 75L incidences of illegal dumping on public land.” However, in many cases, it is the responsibility of the landowner to legally dispose of any waste found on their property and any costs incurred. The cost to landowners for the disposal of illegal waste is between £100m and £150m a year. They also state that “almost two-thirds of farmers and landowners are affected each year, with some targeted multiple times each month”. Earlier this year, Biffa conducted a survey which revealed SME’s in the Midlands could lose up to 96 working hours a year due to unplanned waste, which includes illegal dumping. This figure has increased by 12 hours from Biffa’s last survey on unplanned waste removal in 2016. Although unplanned waste also includes other incidences such as equipment breakdown, waste from renovations or unsalable stock, dealing fly-tipping is still stressful as well as time-consuming as business owners may be forced to suspend operations while planning and conducting the safe and legal disposal of illegally dumped waste. The damage caused by fly-tipping is not only financially burdening, but it’s also a potential danger to public health and a hazard to the UK’s wildlife. It also undermines legitimate waste businesses where unregulated operators undercut those operating within the law. In 2015, illegal waste activity was estimated to have cost over £600 million in England alone and waste crime is steadily on the rise, according to an independent study into serious and organised crime in the waste sector. ‘Waste crime’ includes fly-tipping, illegal dumping or burning of waste, deliberate mislabeling of waste, the operation of unauthorised waste management sites and illegal waste export. A typical operational model adopted by organised criminals in the waste sector involves operating without licences or registration. Many illegal waste operators take waste for a ‘too good to be true’ price and dump it on farmland or industrial sites. This process evades any costs a legitimate business would be obligated to pay, including Landfill Tax. Earlier this year, Biffa’s OneCall cleared 15 tonnes of waste from one of Thames Water’s sites in Oxford which had been fly-tipped on for over 15 years. Landowners are at potential risk of fly-tipping or becoming an illegal dumping site with a growing trend which sees criminals posing as prospective tenants who will use the property to store illegal waste. Once their operation has been completed or discovered, property owners are laden with clear up costs and face possible criminal prosecution, fines and even custodial sentences for failure to operate without an environmental permit. The Environment Agency claims that waste crime is diverting up to £1 billion per annum from legitimate businesses and the treasury. The EA urges landowners to be vigilant and report any unusual behaviour of any prospective tenants and not to accept any offer of payment to store waste temporarily. If you do become a victim of fly-tipping, it’s important to report it to the local authority, even if it’s on private land. 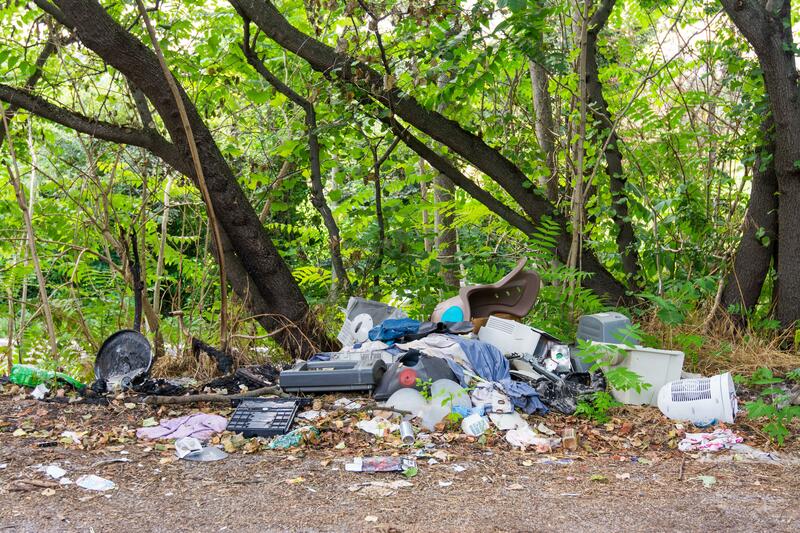 33% of fly-tipping incidences are equivalent to a small van load and can easily be resolved through a licensed man in a van service, linked to a registered waste operator. Next articleWhat’s changed one year since the start of our recycling crisis?